With the John Lewis festive advert filling our TV screens, Costa Coffee stores playing 'White Christmas' and snow falling on high ground, the Yuletide is almost upon us. I don't know about you, but I've written my Christmas cards and already bought a fair few family gifts. That said, I always leave buying boxes of chocolate until as late as possible to get the best deals. It's not surprising then to hear that the choc suppliers are preparing to 'rip-us-off' big time! Buying anything in small quantities usually means that we'll end up paying more and chocolates are no exception, but according to Which? magazine, some treats can cost double. The consumer group has found that a 1.32kg tub of 'Quality Street' chocolates works out at 53p per 100g at supermarket giant Asda, but a 265g box was nearly twice as expensive at £1.02 per 100g. 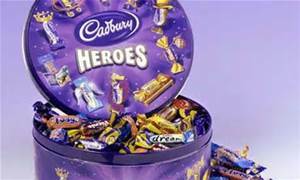 Products like Cadbury's 'Heroes' and 'Celebrations' from producer Mars, also came out more expensive by weight in smaller packages. It is suggested that shoppers would be better off buying in bulk - although it is at odds with pledges by the food industry to help us Brits cut our sugar intake. With chocolate boxes a firm favourite amongst us all, it seems it is worth comparing prices by weight at this time of year, before buying. Not every supermarket in the Which? test was selling the same chocolates in both large and small packs, so it was not possible for researchers to make comparisons across all the products. Pack size can also vary between chocolate brands. However, among the findings, Which? revealed that Asda charged £1.08 per 100g for 'Roses' in a small packet, versus 59p when sold in a larger one. Smaller packets of 'Celebrations' at Morrison's stores were £1.11 per 100g, versus 63p for the bigger size. 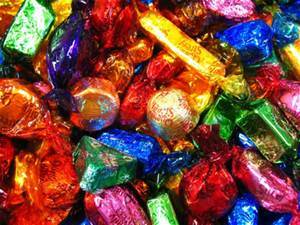 High Street retailer Sainsbury's charged £1.01 versus 57p on 'Quality Street'. The difference on 'Heroes' at Tesco was £1.07 against 72p. It's no surprise, that confectioners have been slimming down the size of large tubs of chocolates, but keeping the price the same, known as 'shrinkflation'. 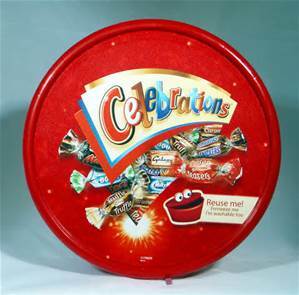 In 2014, tubs of 'Celebrations' were cut from 855g to 750g - about 11 chocolates. And in 2013, some tubs of 'Heroes' came down from 800g to 750g - about three chocolates. 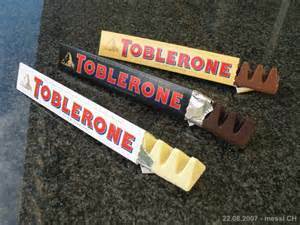 Last week, as we all know from the publicity hype, it emerged that the size of some Toblerone bars sold in the UK were being shrunk - the 170g version came down to 150g and the larger 400g to 360g. Some if us will also remember that Cadbury creme eggs in a multi-pack were cut last Easter from six to five. As I always say, it's worth shopping around this Christmas!